OKI C801N A3. 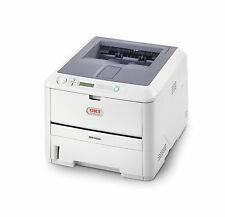 1 x OKI C801N Printer. This Is A Grade A Colour Printer. COLO UR LED PRINTER. We are one of the largest printer dealers in the. If you need help with your installation our engineers will be happy to help you. OKI B6300N. 1 x OKI B6300N. Fast 34PPM Network Ready A4 Mono Laser Printer. Up to 34ppm Mono Print. USB, Network, Parallel, Serial. USB, Parallel, Serial & Ethernet Connection. Printer Specification. 1200 x 1200 dpi Print. OKI B6200N. 1 x OKI B6200N. Fast 24PPM Network Ready A4 Mono Laser Printer. Up to 24ppm Mono Print. USB, Network, Parallel, Serial. USB, Parallel, Serial & Ethernet Connection. Printer Specification. 1200 x 1200 dpi Print. Parallel connection. Print up to 433cpm. Add to Favourites. We will always go out of our way to source the product you are looking for. Automatic Duplex Printing (2-Sided). 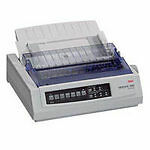 Print up to 28 Pages Per Minute. We will always go out of our way to source the product you are looking for. USB 2.0 and Parallel Connections. 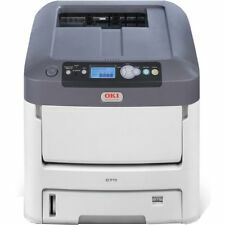 Oki C5650dn - A4 Colour LED Printer. The Printer Broker Ltd is a supplier of printers, fusers and printer parts based in Bolton, Greater Manchester, UK. Part :01212601. 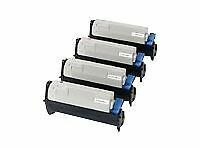 OKI 44643004 Black Toner Consumable 44643004. OKI 44643004 Black Toner Consumable. Manufacturer Code: 44643004. Compatible with C801/ C821. 7000 Print Yield. Typical Print Yield 7000 Page. Typical Print Yield 7000 Pages. 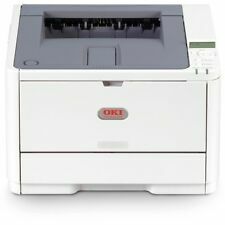 Refurbished Oki C5300N laser printer. 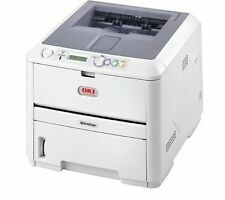 Here we have a nice Oki C5300N printer With 6 months warranty (see below). Printer Parts & Panels. FULLY Refurbished HP LaserJet LJ P4015N Printer CB509A. FULLY Refurbished HP LaserJet LJ P4015DN Printer CB526A. FULLY Refurbished HP LaserJet LJ P4015TN Printer CB510A. FULLY Tested Working HP LaserJet LJ P4015N Printer CB509A. Part Number : 01308301 / 42089323. 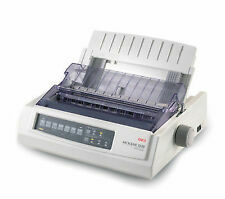 Oki Microline 3321 - A4 Mono Dot Matrix Printer. The Printer Broker Ltd is a supplier of printers, fusers and printer parts based in Bolton, Greater Manchester, UK. Automatic Duplex Printing (2-sided). Print up to 32/26 Pages Per Minute (Mono/Colour). We will always go out of our way to source the product you are looking for. Add to Favourites. Network Printing. USB 2.0 & Ethernet connections. Print up to 32/26ppm (Mono/Colour). We will always go out of our way to source the product you are looking for. Add to Favourites. Automatic Duplex Printing (2-sided). Network Printing. USB 2.0 & Ethernet connections. Print up to 32/26ppm (Mono/Colour). We will always go out of our way to source the product you are looking for. Add to Favourites. USB 2.0, Parallel, Serial & Ethernet connections. Print up to 25ppm. Add to Favourites. We will always go out of our way to source the product you are looking for. Install a genuine OKI Image Drum in your OKI printer if you noticed diminished image output - it'll help renew print quality. 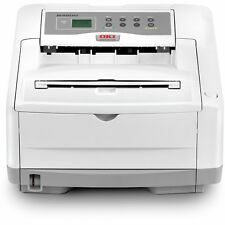 As you use your OKI laser printer, waste toner and wear and tear on parts can lead to reduced quality and poor output. This genuine OKI 43381723 drum unit has been expertly designed as the most effective way of handling the cyan toner powder that comes from its corresponding toner cartridge. As such you can expect the best possible results when using the original OKI 43381723 with remanufactured or original toner cartridges.The precision employed by OKI when manufacturing the 43381723 imaging drum unit is plain to see when handling or using it, and we are confident that you will love the results. With a estimated 20,000 page yield this OKI 43381723 cyan imaging drum unit does not need to be changed often, further reducing the cost per page. Click here for more details.